One of the most significant overall advantages a tablet POS has over fixed POS terminals is the flexibility of cloud-based mobile POS solutions. While we typically refer to them as handhelds in the industry, mobile wireless terminals or mPOS is more accurate. Over the last few years, the rapid advent of tablet devices led by the Apple iPad and Android has resulted in the decreased popularity of traditional PDAs. The size and weight of the tablets can be problematic; however, many prefer them because of the screen size, and now the iPad Pro may well become the most popular mobile hardware with the availability of card readers for many of the tablet-based apps. The iPad Mini and the iPhone that have card readers are also familiar with those who still prefer the small size and weight. For this study and guide; however, the type of portable device used doesn’t matter. The benefits are the same. This guide is a detailed look at the many advantages of wireless terminals compared to the fixed point of sale terminals where you can compare here. The most efficient calculations are based on accurate statistics from your restaurant. Those numbers should always be used when determining the opportunity to increase profits. Here I will include an example in each section for illustration purposes only. One area that will almost certainly result in a reduction of costs is labor. However, the amount of the savings will vary significantly with different restaurants because of the type of restaurant, whether the local laws allow a tip credit from minimum wage and the method of compensating food and beverage runners. That makes it difficult to project in advance, so I will not include it in this study. However, I should point out that we get consistent feedback from users of mobile POS system that their labor costs have declined. With the top 3 benefits below, we detail the calculations with the potential cost savings and increase in net profits with some conservative numbers. 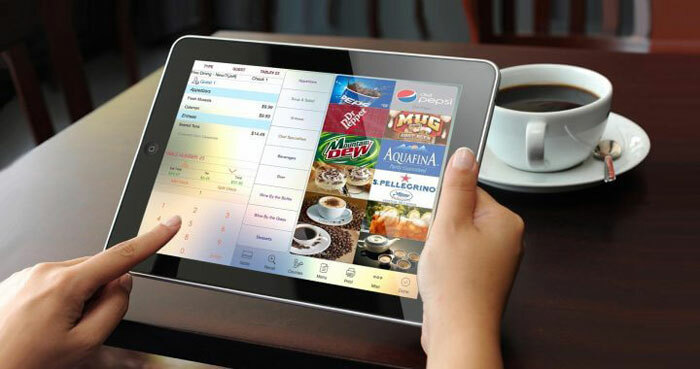 In conjuction with this guide, we reviewed and listed the top restaurant POS systems here. When discussing the benefits and potential ROI from a mobile restaurant POS system, several additional benefits will accrue. However, they are harder to determine a definite increase in profits. We itemized all the advantages into fifteen reasons why you should consider a mPOS for your restaurant. Perhaps one of the most significant losses in every restaurant’s dining room is the soft drinks that are not charged for by servers. Consider this example and scenario for a second. Anytime a non-alcoholic beverage is ordered after the initial beverage order, and without food or alcoholic drinks, the server rarely charges for the beverage – this is especially true during busy times. I recommend that when possible, test this in your restaurant. Have someone go undercover and order an alcoholic beverage or only a glass of water when the server first takes the order. Then when the server comes back to check on the preparation of the entrée, order a non-alcoholic beverage. When the check arrives, the odds are high that the non-alcoholic beverage will not be on it. The server is not required to go to a terminal before serving the beverage, and will almost always forget by the time he or she prints the check. When that happens, the restaurant lost the full price of the drink from their net profit because 100% of the cost was still incurred. So how frequent do you guess that this happens in a restaurant? Most people don’t know, but would you believe it reasonable to expect that at least one beverage is given away per server shift? I have never had anyone disagree with that, and in fact, they almost always agree that happens more often than that. However, to be very conservative, we’ll use the one beverage per server shift number. From there it is a simple calculation. How many server shifts do you have per week? Add the number for each lunch and each dinner. How much do you charge for beverages? 53 total server shifts per week. Suggestive selling has been successfully used in quick service restaurants for many years resulting in higher sales and profits. I read a recent online story that said McDonald’s has a 30% “hit” with their suggestive selling. In other words, 3 of every 10 times a McDonald’s cashier asks, “would you like fries?” or “would you like a beverage?” the customer says yes. For this calculation, we will assume only one suggested selling prompt is used and that it will prompt the server to ask the customer “would you like an appetizer?” anytime the customer has not ordered at least one appetizer for the table. Again to keep the calculation very conservative, do you believe it reasonable that if your servers were always prompted to upsell appetizers, that it would result in just one additional appetizer sale per server shift? If you want to use your numbers for the suggestive selling calculation; what is the average price of an appetizer on your menu? Also, what is the average food cost of your appetizers? While the calculation below might seem high, a good case can be made that it is too conservative. If a server was prompted only ten times per shift and just had a “hit rate” of 10% that would result in the one new appetizer sold per shift. Not only does that sound very reasonable there might be times when more than one appetizer is ordered at the table. Remember McDonald’s gets a “hit rate” of 30%, so we are only assuming 1/3 of that for this example. There is no doubt that utilizing mobile POS apps will result in faster table turns in any restaurant. The amount of turn time reduction will vary through the results I have seen, but it’s usually in the 7-15 minutes range. The exact amount for any particular restaurant will vary based on several factors. Here are some of the factors leading to faster table turns. Without mobile POS devices, servers often take orders from two or three tables before going to a fixed terminal and entering the orders. Taking multiple orders results in a delay in the first orders reaching the prep areas, and it also produces jam-ups in the kitchen and bar during peak periods. With mobile POS software, as soon as the server receives the drink order, it is sent to the bar and likewise, for the food order – this results in quicker order preparation and orders reaching the various prep areas in an orderly fashion. With the servers always on the floor the customers don’t wait as long to place their orders. When customers ask questions about the menu, the answer is almost always available with the touch of a button with a handheld device. Answering questions at the table eliminate time lost when a server has to find someone with the answer. Typical questions include a customer asking what ingredients are on a menu item to make sure they’re not allergic. As long as the “Item Out List” is maintained, when a customer orders an 86’d item, the server knows immediately. Knowing 86 status right away eliminates the long delays that typically occur when ordering an 86’d product, and then later the server must come back to the table to inform the customer and take the replacement order. Pay at the table with a mPOS machine eliminates long waits for the customer to receive their guest check and credit card back from the server. Having to wait or standing in long lines to pay is the number one annoyance of restaurant customers. By increasing table turns, especially in fine-dining restaurants, don’t get the idea that mobile terminals mean rushing the customers in and out of the restaurant thereby lessening their dining experience. This is not what reducing table-turn times means. There are three segments to a customers time in the restaurant. 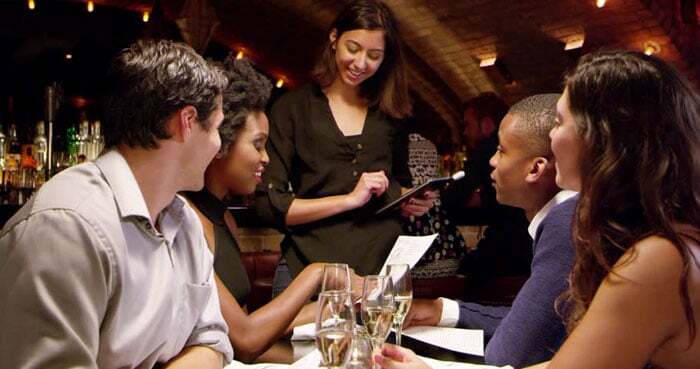 The first segment is from the time they arrive until their server approaches them to take their initial drink order – this is true whether the customer is immediately seated or is added to the wait list. Because tables turn faster with mPOS, wait times will also be shorter. The second segment is from the time the customer receives their entrée until they are ready for their check. The final part is the time between being prepared for their bill and completing the payment process and leaving the restaurant. The second segment will not be negatively impacted by the use of a mobile POS system. Their dining experience will be enhanced because the first and third segments will be significantly shortened – this means they will receive their food sooner and will be able to leave shortly after finishing their meal. Finally, those customers who are paying by credit or debit card will not have to be concerned about handing their credit card to a stranger and having the stranger take the card out of their sight – this gives them peace of mind. For our calculation from increased table turns a few things must be determined. What the current average table turn time is, how many hours per week the dining room is running at capacity with an active wait list, the number of tables in the restaurant, the average covers per table, and the average dinner check per person. By turning the tables faster when there is a waiting list, there will be fewer walkouts because of the wait time is too long. For our example, I will assume we will gain ½ additional table turn on Friday and Saturday nights only. We will keep the estimate conservative with these numbers. 25 tables with an average of 3 covers and an average check per cover of $15.00. Link suggested wine pairings to entrees as a modifier window that includes all suggestions in addition to a “no wine” button – this will result in greater wine sales because the servers will not forget to upsell. Since wine is the most profitable item in a restaurant, this is a great benefit. On-the-fly prep printer routing to speed up service for those restaurants with more than one service bar. Not all mobile solutions may offer this feature, so be sure to check. Suggest alternative food items for 86’d menu items. For instance, if the point of sale notifies you that you’re out of the prime rib, you can suggest the ribeye. Again this is an exclusive feature of some iPad POS systems. Eliminate dual training by using a solution where the software on the mobile app and the fixed terminal are the same. Some systems may not run the same application on both fixed and mobile POS terminals, making training more difficult. So be sure to check this functionality. In connection with eliminating dual training, you’ll want the benefit of having all server functions available on the handheld device, negating the requirement that some functions be performed on the fixed equipment. Reduce front-end labor costs at your restaurant. As previously stated these are difficult to accurately project in advance though there is no doubt fewer servers are needed using mobile terminals. Even adding food and beverage runners will almost always still result in lower overall labor costs. 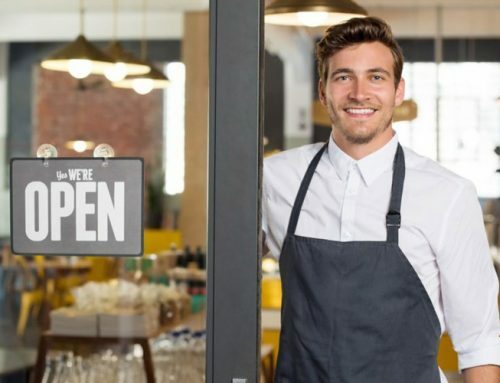 Fewer “lost opportunity sales” because the servers are always on the floor – this makes it more likely that a server will be available to take an order for an additional drink or a dessert that customers often decide to have on impulse. Taking the entire order table-side reduces order errors and sends orders directly to the kitchen. There will be fewer order errors compared to translating handwritten tickets to the fixed terminals. Other alcoholic beverage sales are resulting from the initial drink order being delivered to the table so much quicker. The customer will order another round because there is time before their entrees arrive. Restaurateurs benefit from using the most advanced technology that results in an enhanced dining experience for their guests. Restaurant customers love the technology, and it enhances their image of the restaurant. Collect your customer’s email address for marketing opportunities. The mobile device can also be used for taking customer surveys. Last but not least, with a cloud-based mobile POS system, you can potentially save hundreds or thousands of dollars over the “traditional” point of sale solutions out there. You don’t have to buy the software; it’s typically a SasS (Software as a Service) where you pay a monthly fee to use the service. There is generally still hardware cost, but using the cloud eliminates expensive purchases like workstations, servers, and software licenses. 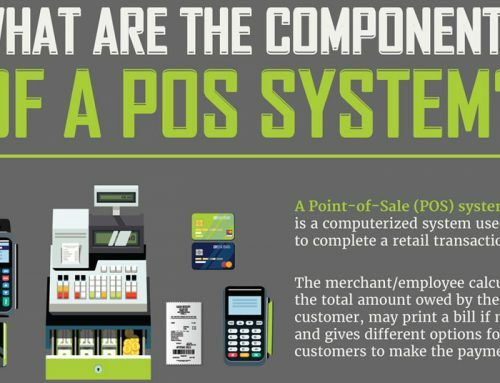 However, if you prefer to purchase a complete POS system outright with wireless capabilities, see below because it might be more cost-effective long-term based on the savings we’ve outlined. You need to use YOUR numbers based on the calculations outlined above to see how much you can save. But as you can see from our examples from only the top 3 benefits, by incorporating a mobile POS solution for your restaurant, you could potentially save close to $30,000 a year. To make our calculations even more conservative, let’s cut it in half to be sure we are not overstating the advantages of a mobile or cloud-based system. That is approximately $15,000 a year in additional revenue for your business – this type of savings could more than cover the monthly cost of a POS system without even considering all the other benefits from a mPOS, tablet or iPad POS system. We sincerely hope this helps, if you have any questions or comments, please let us know below. How much can you save with a mPOS?